The Dr Shezad Malik Law Firm helps folks get the recovery they need after being involved in a motorcycle automobile accident. If you have been injured in a motorcycle accident in Dallas, get the help you need to begin the recovery process. After a serious motorcycle collision, an injured rider and close family members go through an incredibly difficult time. Dealing with injuries, hospitalizations, and medical treatments, missed work and income, and everything else that follows a motorcycle crash is exhausting, stressful, and hard to manage. And when a crash is fatal, families are left to grieve their loss while struggling to resolve the financial burdens resulting from the loss of their loved one. Most motorcycle crashes result in serious or even fatal injuries, since the cyclist is completely vulnerable to the force of a collision with a larger and heavier vehicle. It is critical to find experienced legal assistance immediately so that injured motorcyclists, or the family left behind after a fatal crash, can get the information they need to make important decisions. 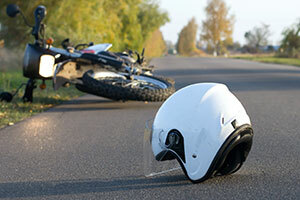 What if There are Issues With Liability After a Motorcycle Crash? Often following a serious motorcycle collision, both sides dispute who is at fault, or each party is partly at fault. To sort out these questions and effectively manage an injury claim, it takes an experienced accident attorney. After a motorcycle crash, if the injuries are significant, if the accident proves fatal, if there are issues with insurance or liability, or if you just have questions about what you should do next, contact Dr.Shezad Malik Law Firm today, toll free 888-210-9693 ext. 2, local 214-390-3189. Serious accidents are very challenging to manage without the assistance of a lawyer who understands the legal process, knows how to negotiate with an insurance adjuster, and can obtain the highest possible settlement to recover financially from a motorcycle accident. Motor Bikers and Motorcycle enthusiasts have a tough time on our Texas roads, most folks do not like to share the road. The reality is that motorbike riders and motorcyclists generally follow the same rules of the road as other vehicles, but they are presented with problems while driving on our back roads, interstates, and highways. Unfortunately drunk, distracted, or inattentive drivers may not see the approaching motorbike – and since bikers are in the smaller, lighter, and less protected vehicle, these crashes can lead to serious bodily damages, spinal cord or brain injury, or even death. In these cases, the bikers are not to blame, but still these accident victims pay the price for someone else’s negligence or recklessness. Texas has the largest population of bikers in the country, and we make it our responsibility to ensure that your cases are given the highest priority of a serious motorcycle accident. Many accidents occur because a careless driver, unmarked road hazards such as potholes, uneven pavement, oil slicks, or debris, poor visibility at an intersection, poor weather conditions, or a defective bike with fuel system leaks. The Dr Shezad Malik Law Firm is a full-service personal injury law firm handling a wide variety of claims. Our lawyers have extensive experience in the areas of: sexual abuse, tractor trailer and commercial vehicle litigation, medical malpractice, wrongful death, serious auto accidents, bus accidents, dog bites, product liability, brain/head injuries, burn and electrical injuries, spinal cord injuries, premises liability, negligent security, and many other types of personal injury cases. If you or a family member has been injured because of the fault of someone else; by negligence, personal injury, slip and fall, car accident, medical malpractice, trucking accident, drunk driving, dangerous and defective drugs, bad product, toxic injury etc then please contact the Fort Worth Texas Car Accident Attorney Dr. Shezad Malik. For a no obligation, free case analysis, please call 888-210-9693 ext. 2 or Contact Me Online.